BILLINGS — This winter’s snowy weather is taking its toll on fish ponds in south central Montana. Montana Fish, Wildlife and Parks biologists reported a noticeable fish kill at Riverfront Park on the south edge of Billings this week. And they expect dead fish to appear at other ponds as this winter’s ice recedes. Winter fish kills start when ponds with vegetation on the bottom freeze over, then the ice is covered with deep snow. Because the ice and snow cut off all light, the plants die. Bacteria that eat the rotting plants consume much of the oxygen in the water, leaving too little for fish. The dead fish that appear on the surface after ice-out died of anoxia, or their reaction to a lack of oxygen in the water. At Riverfront Park, FWP biologists found a variety of dead fish including tiger muskies, big-mouth buffalo, river carpsuckers, white suckers, long-nose suckers, pumpkin seeds, carp, crappies, sunfish and a few bass. They expect gulls, eagles, hawks, osprey, racoons, crayfish and other scavengers to eliminate most of the dead fish in the coming days. The fish that are not eaten likely will sink to the bottom of the ponds. Lake Elmo in Billings Heights historically has been immune to winter fish kills because it has deeper spots and little vegetation on the bottom. FWP fisheries biologist Mike Ruggles said the Riverfront Park fish kill could have a silver lining for fishermen. Anoxic conditions rarely kill all of the fish in a pond, he said. Fewer fish will mean more food and fish that survived likely will grow bigger. 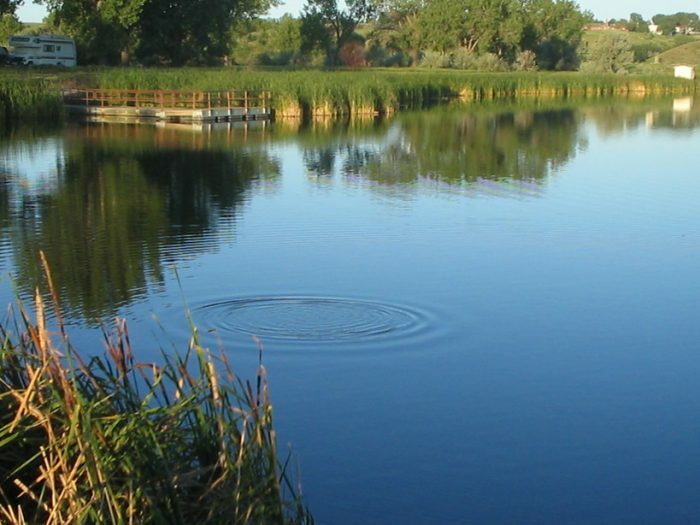 Later this summer FWP will plant bass to replace the fish that died. Meanwhile, ice on all lakes and ponds in south central Montana is too fragile for ice fishing.